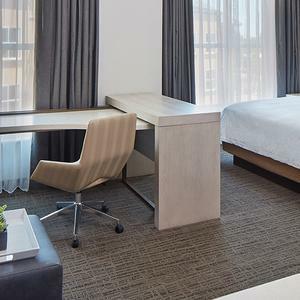 Book rooms online with special perks directly through hotel. 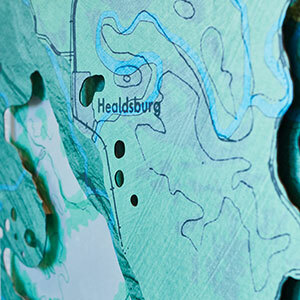 Code has already been applied. 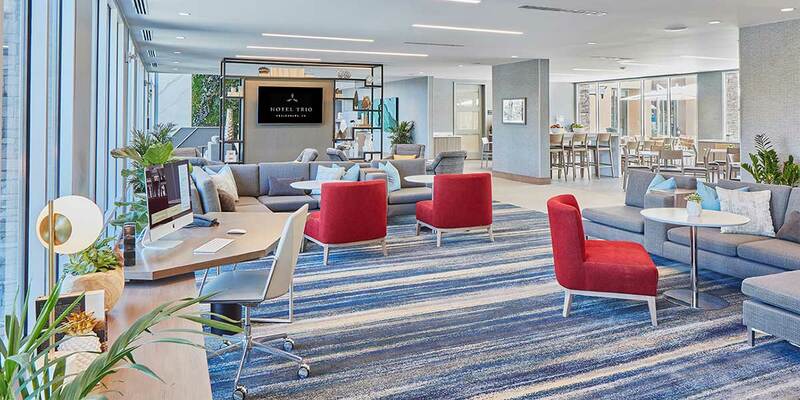 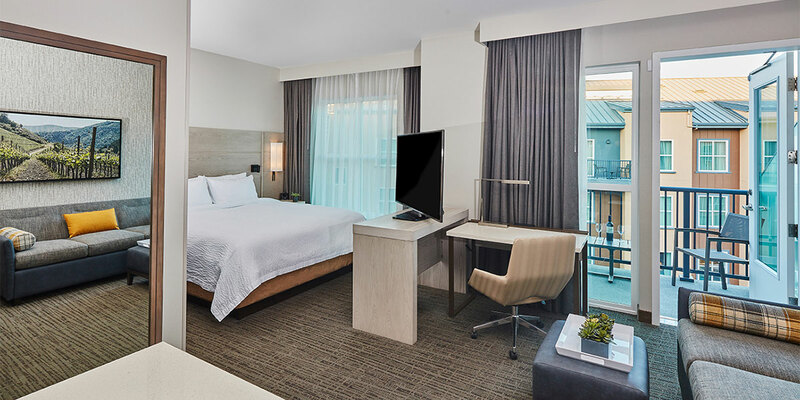 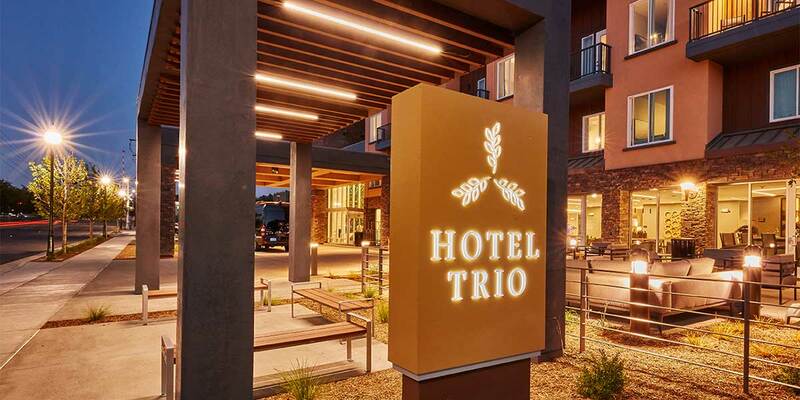 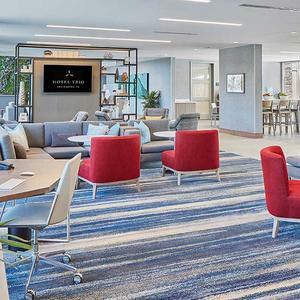 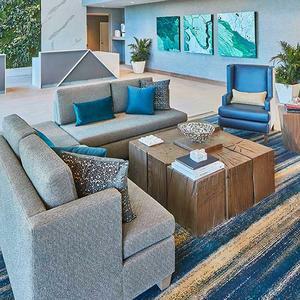 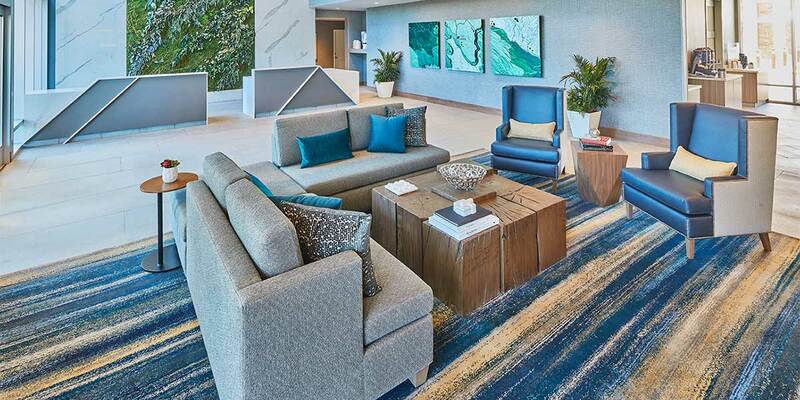 A brand new hotel set in the heart of Sonoma County, Hotel Trio offers travelers the best of both worlds: a hub for exploring wine country, and plenty to enjoy footsteps from your door. 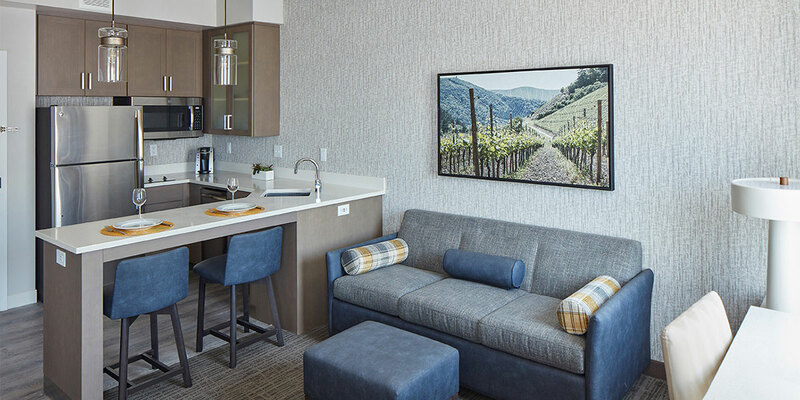 Whether the goal is to explore the lush agricultural region or to relax on property with locally-sourced food and a vineyard-bought bottle, we live in that sweet spot between “splurge” and “smart,” “familiar” and “surprising.” Warm, over-sized accommodations with full kitchens encourage spreading out. 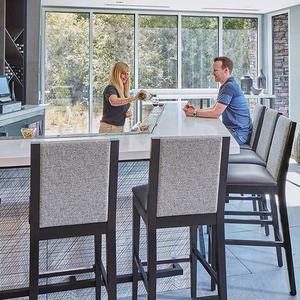 Thoughtful amenities, local partnerships, and friendly service are attuned to guests’ preferences and personalities. 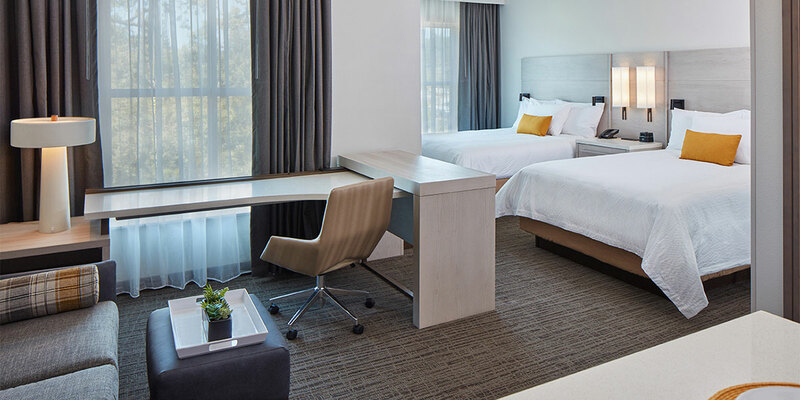 Each suite includes a complimentary breakfast buffet with hot and cold favorites, plus free WiFi throughout the hotel. 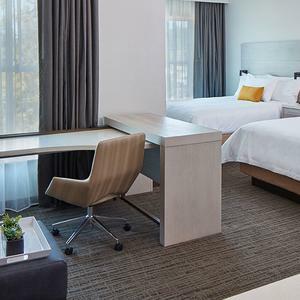 Guests also receive a free half-bottle of local wine at check-in. 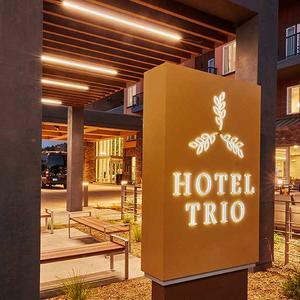 You’ll find charming restaurants, wineries, tasting rooms, and boutiques just steps from our front door, along with complimentary shuttles to downtown and bicycle rentals for guests who want to explore the area on two wheels. 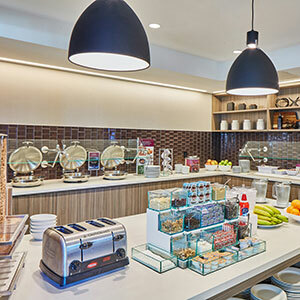 Guests will enjoy a free breakfast each morning, featuring hot and cold favorites and buffet selections. 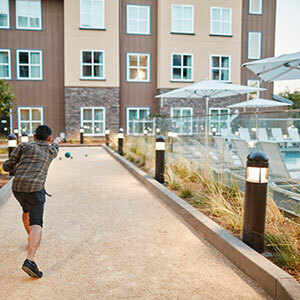 Relax at the outdoor pool, unwind with a glass of wine by the fire place, or challenge your friends to a round of bocce! 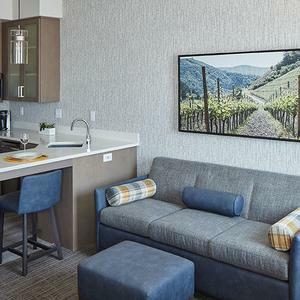 Easy access to downtown Healdsburg, plus a variety of tasting rooms, restaurants and outdoor activities are a short distance away. 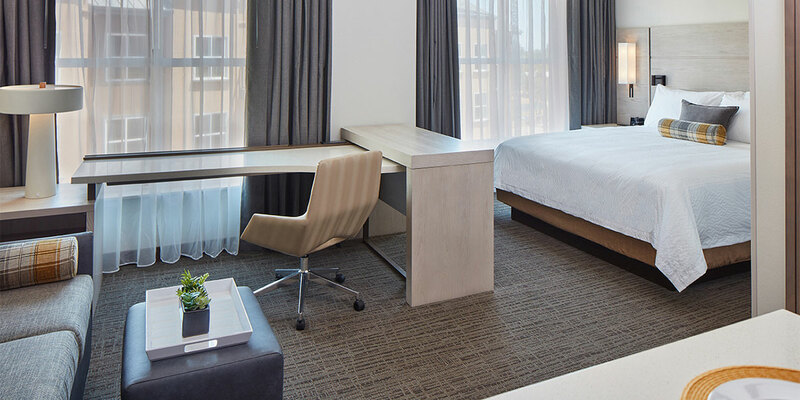 Upgrade your room type with a private balcony! 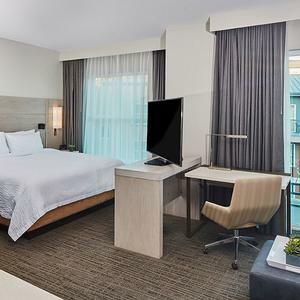 Two Queen Suites are available.